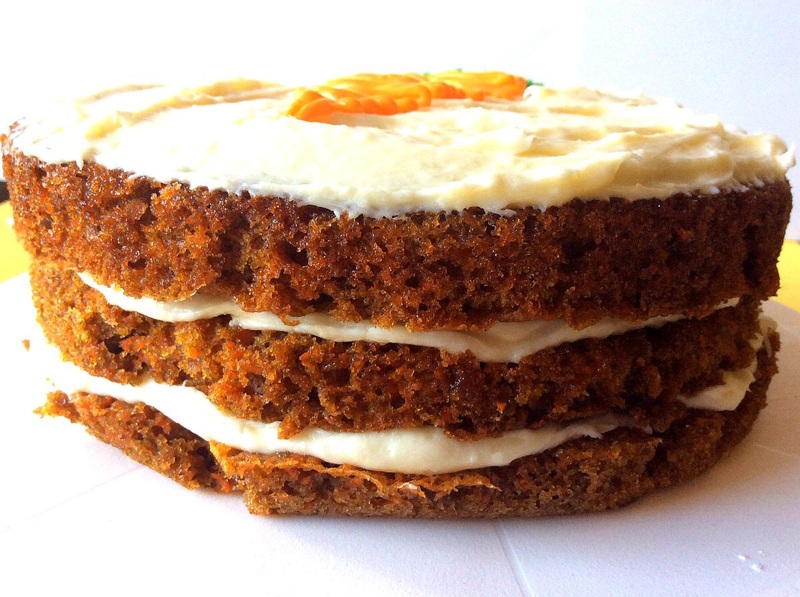 I made carrot cake about 4 years ago and swore I’d never do it again, because although it was tasty, the hour of grating carrots was not for me or my weak wrists. Now that I have a Ninja (thanks, hubby! ), this task was finished in minutes. Baking the cake took awhile, since I only have one 9-inch pan and used it repeatedly, as the original recipe suggested. The end result was worth it, though! 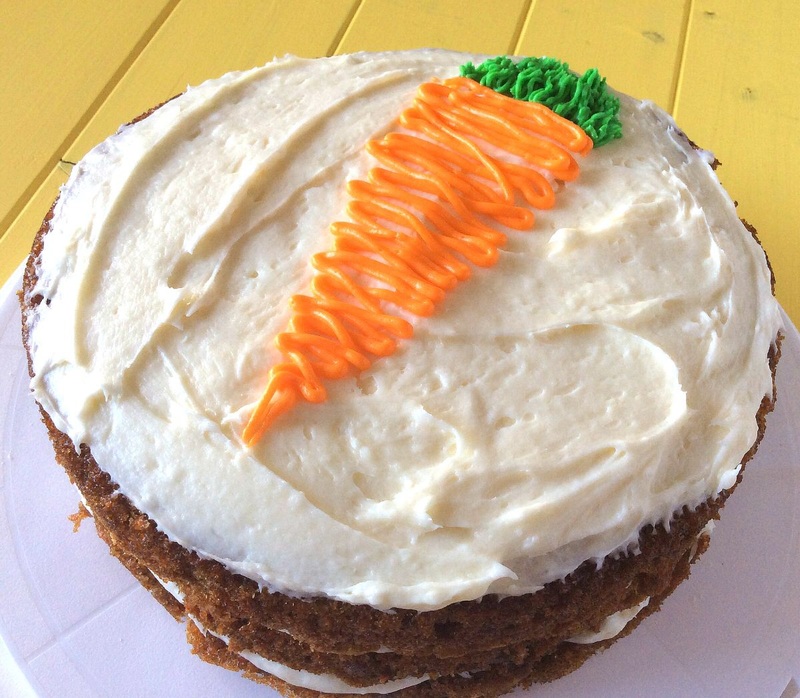 One cup of carrots in each layer! I wrote this recipe out exactly how I made it. I’m not the best at following recipes, so if you like the shortest possible route to food, stick with me. We’ll go places. The secret ingredient is Biscoff cookies! They’re like spiced graham crackers, only better. My mom bought me a pack of these and once I ate some and saw this recipe, I thought they’d be perfect in carrot cake with all its warm spices. 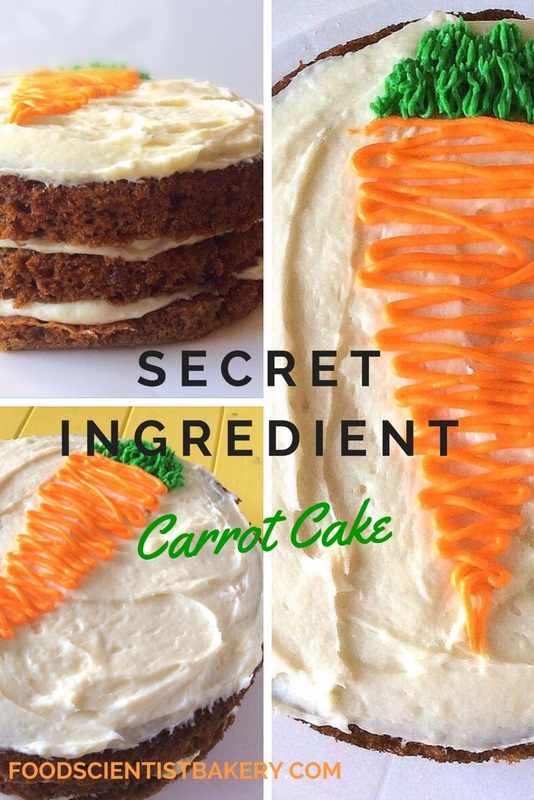 If you don’t have a favorite carrot cake recipe, give this a try. If you do, well, give this a try and it just might beat your old favorite! Heat oven to 350°F. Line three 9-inch cake pans (if you have three, otherwise: bake, unfold, wipe out pan, put down more wax paper and coat with spray to re-use) with a piece of wax paper and coat with cooking spray. Grind up cookies in food processor. Place in large bowl; set aside. Peel and grind up carrots until you end up with small chunks, but not baby food. In the large bowl with cookie crumbs, add flour, baking soda, baking powder, salt, cinnamon, nutmeg, pumpkin pie spice and sugars. Add oil, eggs, and grated carrots until smooth. Stir in grated carrots. Pour batter evenly between the prepared baking pans. Bake each layer for 15-18 min. or until a toothpick comes out clean. Cake will seem soft and likely still sticky on top. Let rest in pans for 5 min. on wire rack, run a knife around edge, flip cake out onto rack, and remove wax paper. Repeat with remaining layers and let cool completely before frosting. Cake layers can be placed in the freezer to speed cooling and make cake easier to handle. For frosting, beat cream cheese and butter together until smooth and fluffy. Beat in powdered sugar. Beat in vanilla until combined. To assemble: Arrange one cake layer on a cake plate or stand. Spread frosting on top; repeat with remaining layers. If desired, decorate top with colored frosting. I reserved a small amount of frosting to dye and added a giant carrot in top, because I tried fondant and wow, it really did not work. Let cake chill until serving. Keep in fridge.